The Andy T-Nick Nixon Band combines the flavors of Nashville and Southern California, a partnership created when guitarist Andy Talamantez moved from the West Coast to Tennessee and hooked up with Nashville veteran James T. “Nick” Nixon, whose voice was honed in the church and clarified by opera, allowing him to both growl and croon his way through soul, rock and blues. 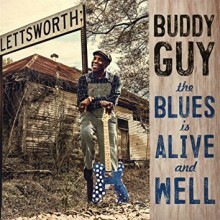 Now they tour the country in their 1953 GMC Greyhound bus, spreading their brand of blues far and wide. On their third album, Numbers Man, they are joined by their regular band—Larry van Loon on Hammond B3, Jim Klingler on drums, and Sam Persons on bass—plus several special guests. Kicking off with an original song on a familiar theme, “Shut the Front Door” features the dueling guitars of Andy T and Anson Funderburgh, while Nixon gives a rollicking account of a man left to booze and drugs after his baby leaves. 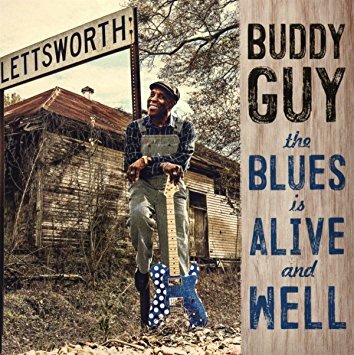 On the title track, The Texas Horns fire on all cylinders, adding some rhythm and blues to the mix while extended solos are given to the guitars and B3. “Blue Monday” is a satisfying slow burner, with Nixon tearing into the vocals on the front end, but leaving plenty of space to showcase the band. Kim Wilson (Fabulous Thunderbirds) picks up the harmonica on “Sundown Blues,” while “Tall Drink of Water” and “What Went Wrong” have a distinct zydeco flavor courtesy of Zeke Jarmon on rubboard and Christian Dozzler on accordion. Pulling out all of the stops on “This World We Live In,” the band is joined by Kevin McKendree on B3, Steve F’dor on piano, Rick Reed on bass, and Denise Fraser on drums. The socially conscious song, penned by Andy T, draws on themes of war, religion and intolerance, bringing the album to a close on a blaze of searing guitar solos underlying Nixon’s vocals mourning the state of the world with an element of despair. 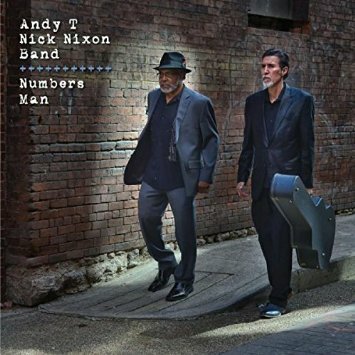 Over the course of 14 tracks, Numbers Man offers a wide range of styles from traditional blues to rhythm and blues, jump blues, zydeco, and even a touch of jazz—performed with an exceedingly high level of musicianship led by the electrifying guitar of Andy T.